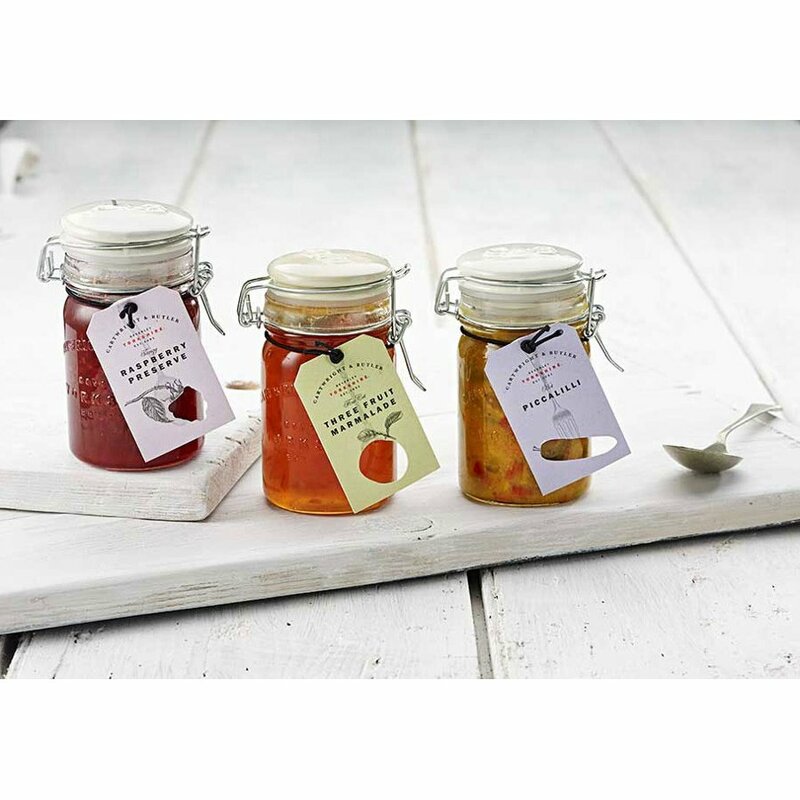 A delicious mix of three fruits made into a smooth preserve perfect for your morning toast or croissant. 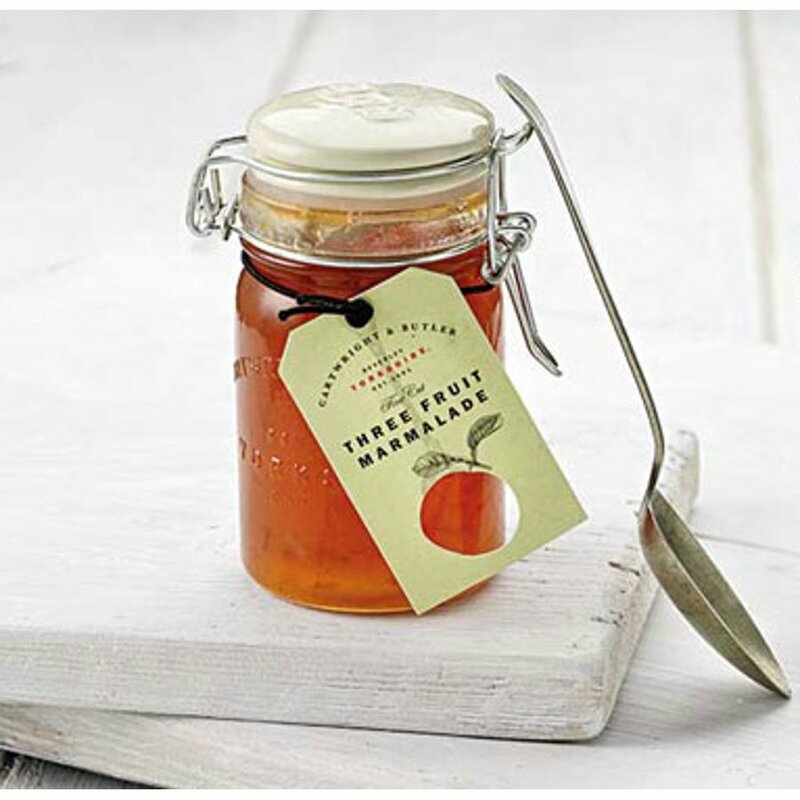 Made in the UK it has been lovingly prepared in a Kilner type jar that has an airtight seal, ideal for using again and again to store food. 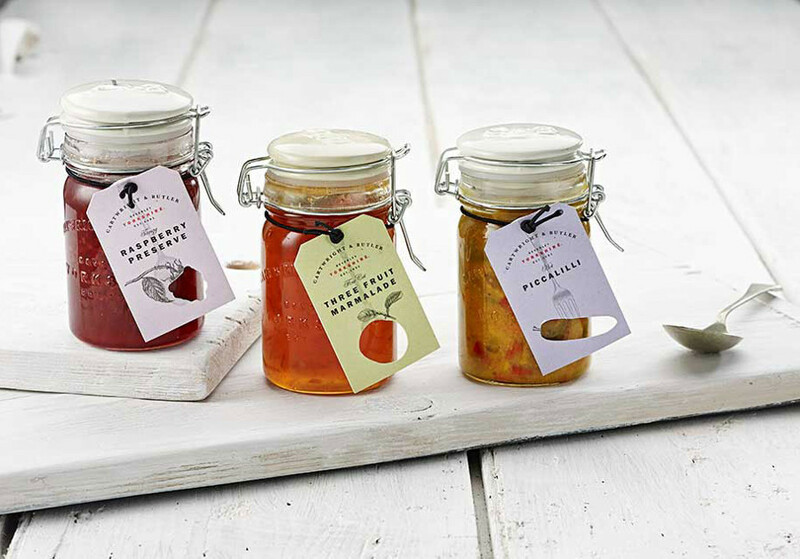 Sugar, oranges (20%), grapefruit (8%), lemons (5%), citric acid, gelling agent (pectin). 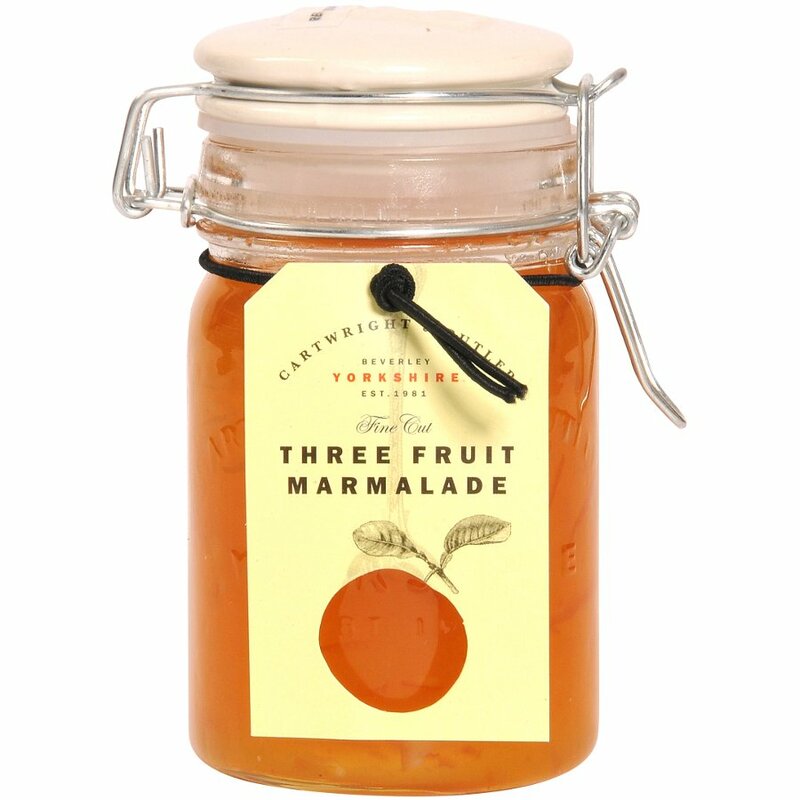 The Cartwright & Butler Fine Cut Three Fruit Marmalade - 280g product ethics are indicated below. To learn more about these product ethics and to see related products, follow the links below. I love this. 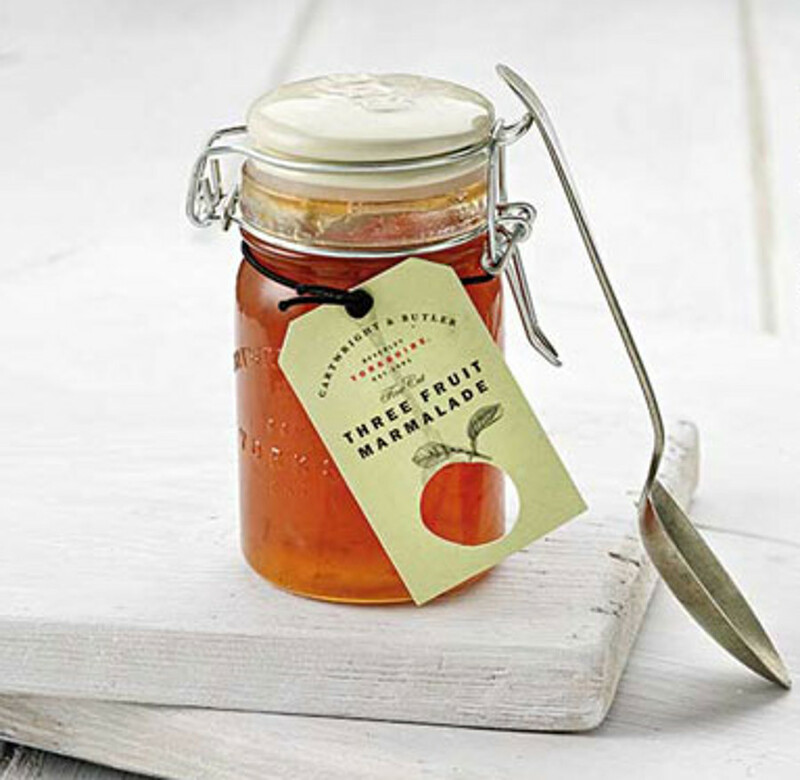 It's good to simply spread on bread or toast, makes a lovely topping for lemon sponge. 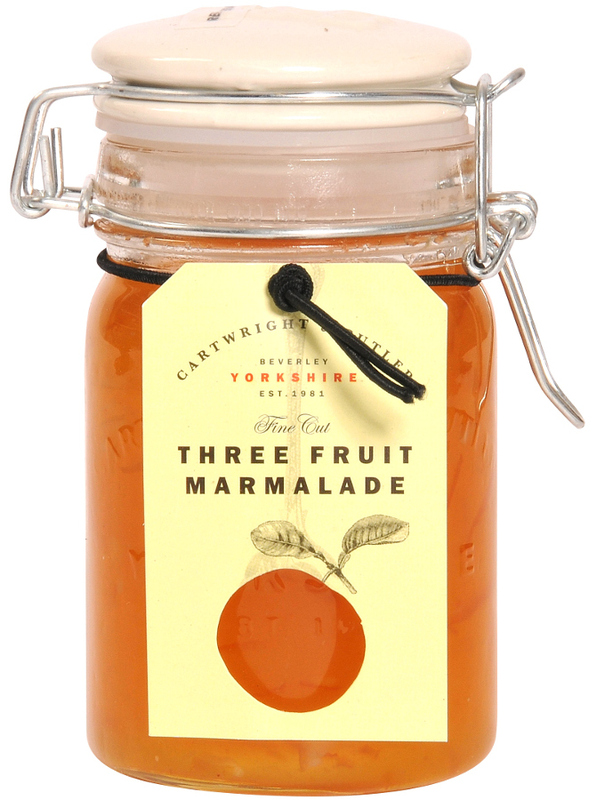 There are currently no questions to display about Cartwright & Butler Fine Cut Three Fruit Marmalade - 280g.